Services that will "likely" be onboard include Starz, Showtime, CBS All Access, Noggin and HBO, CNBC sources said. The people didn't say why Hulu would be excluded, but echoed previous reports saying that Netflix is also not participating. Those two services are popular enough that they may feel they don't need to sell through the new platform, due to be announced March 25. Netflix helped pioneer streaming video, and Hulu is a joint venture between Disney, Comcast/NBCUniversal and AT&T/WarnerMedia. Apple is allegedly aiming to take 30 percent of the revenue for subscriptions enabled through its "TV" app. If so, the exposure may not be considered worth it. Video watched in Hulu appears in the TV app regardless. Hulu also offers subscriptions to outside services on its own, and might not want to jeopardize that business. Apple is preparing a barrage of original shows costing over $1 billion. At least some of these will likely be free to watch for Apple device owners -- it's not yet clear if the service will be accessible via Android or Windows. I feel like Apple is so late into the streaming game that I have no more budget to pay for yet another service. Right now I have Netflix, Amazon Prime, Hulu, and HBO Now. It covers almost any TV show and movie I would ever want to watch, on demand. What is Apple going to offer on top of everything I already have an enjoy that will make me want to pay even more? So without even seeing what is offered you declare it DOA. What if it offers something you find compelling enough to get rid of one of your current subscriptions and replace it with what Apple has? I canceled both Netflix and Hulu a couple of months ago because I felt I wasn’t getting enough value for the price. Amazon Prime is no godsend either but I keep it for shopping. I subscribe to CBS All Access so I can watch the new Star Trek: Discovery series. Maybe Apple’s service will offer me the value I want for the price. Yeah... I was thinking the same thing. People assume, yet never seem to have the patience to wait until the facts are out before coming to a decision. I'm looking forward to seeing what Apple does. In an ideal world, Apple make all the 3rd party services happy to participate, and I just deal with one bill instead of the multitude I pay for all the different streaming services. I'm not even sure how this would work - buying one service through another. Hulu and Netflix seem well established enough to stand on their own without being part of an Apple streaming platform. I watch Netflix, Prime and Hulu on my AppleTV, so the Apple offering will probably simply slot in next to those. The key will be content - any platform without compelling content will fail. This would be like Apple offering Samsung phones and a Dell laptops in their stores - unless there are serious pricing advantages to the consumer, I don't see the point. Just wait for the announcement, then judge. They have a way of slow cooking a new market until they figure out how to get all the meat off the bone. I have been pondering the possible name for Apple's new video service. Someone recently speculated "Apple Video". That's a pretty respectable name but there are possible alternatives to that which might be better. Given Apple's propensity to use the letter "i", the word "Apple", and the word "Magic" in some of its product lines, I've got 18 possible product names: iVideo, Apple Video, Magic Video, iMovie, Apple Movie, Magic Movie, iPictures, Apple Pictures, Magic Pictures, iCinema, Apple Cinema, Magic Cinema, iFilms, Apple Films, Magic Films, iTheater, Apple Theater, Magic Theater. After looking at the list for ten minutes I'm favouring "Apple Cinema". It seems to have a good combination of novelty, respectability, panache, internationalness, brand promotion, style and confidence. 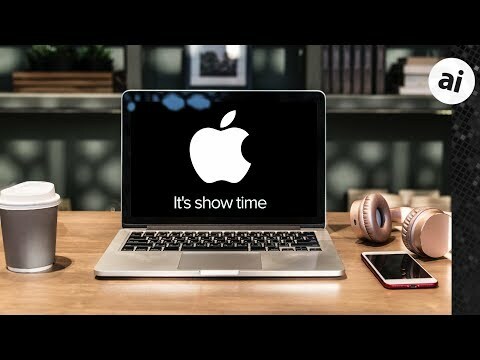 Theater isn't bad but most of the world spells it Theatre so Apple would look stupid with that choice. Hulu simply bundles a bunch of other services, which I hope is what Apple will be doing. Why carry Hulu when you'll (hopefully) be getting the same thing with Apple's service. Of course, I would really like to see Apple bundle data storage and Apple Music into Apple video streaming so I don't have to pay for three things, just one. The problems with Hulu are the companies involved. Comcast should never have been able to grab NBC/Universal. Yeh, I thought my Rolex was all I'd ever want. Now it has been in a drawer ever since I got an Watch. You never know what lies ahead, never assume you do. Hulu does original programming as well. They’ve been ramping it up quite a bit lately. They have some good shows. I feel exactly the same way. I have the same services and that's plenty. Apple needs to do something radically different for me to care. I find it highly unlikely that I will subscribe to yet another service, even if that service offers exclusive content. If there's something I really want to watch, I'll probably just subscribe for a month, watch all of it, and cancel (what I do with CBS and Star Trek today, since Discovery is pretty awful...but I still love Trek and have to see it...and there's nothing else I want to watch on CBS). The leaks/rumors so far haven't been encouraging. I really hope Apple does something different. I'd gladly pay a monthly subscription if they turn iTunes Movies and TV shows into an on-demand, all-you-can-eat service like Apple Music. I don't care if they let me subscribe to other services or "channels". If I could pick individual shows from across many different services and build my own custom "channel", that would make me very interested. It’s easier to prejudge. You don't have to produce any evidence, just open your pie hole and spew. I pay for CBS Now and it only has one must-see show (Star Trek: Discovery) and one nice-to-have (the Good Wife spinoff). I'd do the same just for Foundation. The worst case scenario for Apple is a modest success and much wand-wringing about it not being the next iPhone. Hulu doesn’t really fit this offering as most of what it does is exactly what Apple’s service does. It would be like Walmart having a mini Target Store inside of it carrying many of the same items.